"We do not comment on the authenticity or content of purported intelligence documents," he said. Then there will be the fear of a loss of intelligence coverage against their targets who may change their behaviour because they now know the spies can do. This is when you find a vulnerability in a piece of technology how do you balance the benefit to the public of telling the manufacturer so they can close it and improve everyone's security with the benefit to the spy agency of leaving it in place so they can exploit it to collect intelligence. The NSA has already faced questions about whether it has this balance right when many of its secrets were revealed by Edward Snowden, and now it may be the CIA's turn. They describe the creation of a "fake-off" mode, designed to fool users into believing that their screens had been switched off. Under a "future work" section, it is suggested that video snapshots might also be taken and the wi-fi limitation be overcome. Wikileaks also claims that as of last year, the CIA has built up an arsenal of 24 Android "zero days" - the term given to previously unknown security flaws in code. Some of these are said to have been discovered by the CIA, but others were allegedly obtained from the UK's GCHQ agency as well as the NSA and unnamed third-parties. 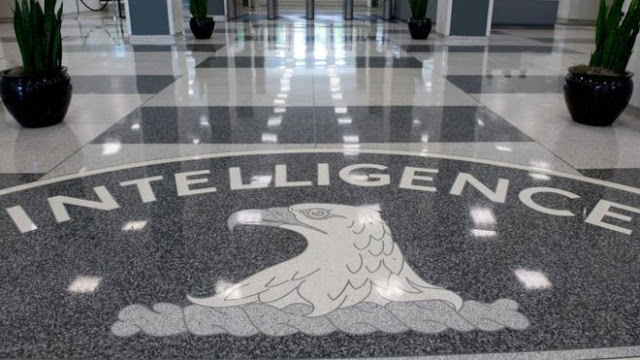 It is also claimed that a specialised CIA unit was set up to target iPhones and iPads, allowing the agency to see a target's location, activate their device's camera and microphone, and read text communications. The unit is also reported to have made use of further iOS "zero days" obtained from GCHQ, the NSA and FBI. "It is longstanding policy that we do not comment on intelligence matters," GCHQ told the BBC. "Furthermore, all of GCHQ's work is carried out in accordance with a strict legal and policy framework, which ensures that our activities are authorised, necessary and proportionate." Wikileaks describes its release as the first in a series of planned leaks about the CIA's cyber-activities, which it refers to as Vault 7. Plus, we kind of know that a lot of the modern internet-of-things gear is broken as all kinds of holes have been found in all kinds of gadgets - including cars. What's more interesting is the work said to have been done on iPhone and Android handsets. That's because Apple works hard to make sure iOS is secure and Google has made a real effort lately to secure its operating system. For a spy agency, access to those gadgets is key because they travel everywhere with a target. It is more than likely that the agency paid millions to build up an arsenal of tools that are guaranteed to work - largely because they are based on flaws, bugs and vulnerabilities that have never been seen before. Operating systems of all stripes are really big haystacks and the information in some of the leaks looks like a good map to all the needles hiding within. What's potentially more worrying is that as information about the bugs gets out then the bad guys will pile in and use them. The documents, from the C.I.A’s Center for Cyber Intelligence, are dated from 2013 to 2016, and WikiLeaks described them as “the largest ever publication of confidential documents on the agency.” One former intelligence officer who briefly reviewed the documents on Tuesday morning said some of the code names for C.I.A. programs, an organization chart and the description of a C.I.A. hacking base appeared to be genuine. Another program described in the documents, named Umbrage, is a voluminous library of cyberattack techniques that the C.I.A. has collected from malware produced by other countries, including Russia. According to the WikiLeaks release, the large number of techniques allows the C.I.A. to mask the origin of some of its cyberattacks and confuse forensic investigators. Assuming the release is authentic, it marks the latest in a series of huge leaks that have changed the landscape for government and corporate secrecy. In scale, the Vault 7 archive appears to fall into the same category as the biggest leaks of classified information in recent years, including the quarter-million diplomatic cables taken by Chelsea Manning, the former Army intelligence analyst, and given to WikiLeaks in 2010, and the hundreds of thousands of documents taken from the National Security Agency by Edward J. Snowden and given to journalists in 2013. The National Security Agency and the military’s closely related Cyber Command have the most extensive capabilities for breaking into foreign communications and computer networks and, if required, destroying them. But the C.I.A. maintains a parallel set of programs, mainly for gathering information. A set of N.S.A. hacking tools, evidently leaked from the agency or stolen in an electronic break-in, was put up for auction on the web last summer by a group calling itself the Shadow Brokers. Those tools were among the N.S.A.’s arsenal for penetrating foreign computer networks. At first glance the Vault 7 programs appeared to be aimed at smaller, individual targets rather than large networks. 0 Response to "Wikileaks: CIA has tools to snoop via TVs"